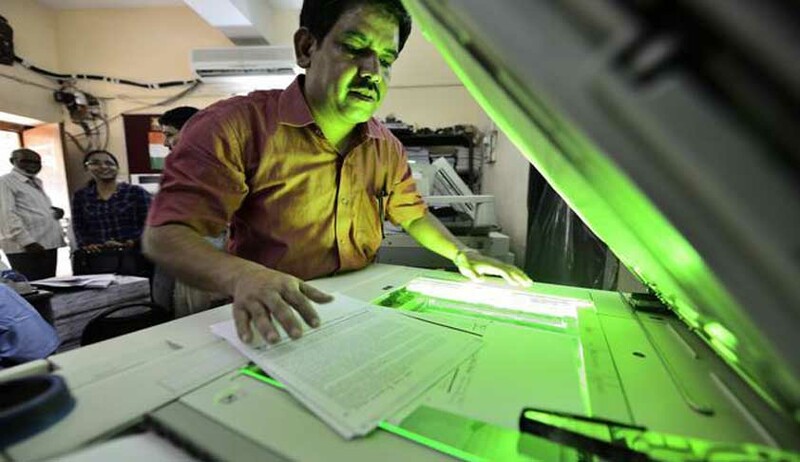 A division bench of the Delhi High Court in a swinging and exceptionally quick judgment in appellate proceedings of what is popularly known as the DU Photocopy case, set aside the order passed by the Single Judge Justice Rajiv Sahay Endlaw and restored the trial on 2 key factual aspects. A lot of ink has since flown in a short span of two days giving both bouquets and brickbats to the judgment. What is important here is that the bench said that there was no triable issue but gave 2 factual aspects to the appellants; Disposed of the appeal but restored the trial and refused the interim injunction. Justice Endlaw held that photocopying excerpts from books and distributing them to students for academic purposes did not infringe the copyright of the publisher/author and that the educational exception under Section 52(1)(i) of the Copyright Act, 1957 covered the acts of photocopying and the course packs by DU for its students as there was no cause of action since there was no actionable infringement in the case.Justice Endlaw held five major things – firstly, the words ‘to reproduce the work’ in Section 14(a)(i) included making photocopy of the work in contravention of the provisions of the Act. Secondly, the right to make photocopies was held to be the exclusive right of the author of the literary work and a copyright within the meaning of Section 14. Thirdly, the principle of ‘exhaustion‘ was bought in Indian intellectual property (IP) rights jurisprudence holding that neither Section 14(a)(ii) nor Section 51(a)(i) required issuance of copies to be for consideration/profit. Thus, books purchased by DU in which the plaintiffs claimed copyright were deemed to be a copy already in circulation and that the exclusive right to issue the same to the public did not vest in the plaintiffs. Fourthly, the action of DU to supply the master copy to the shop, granting licence to it to install photocopiers in the premises and distributing the course packs to students for charge, did not constitute ‘publication‘ within the meaning of Section 52(1)(h). And finally, the expression ‘instruction’ was held to be different from a ‘lecture’ and ‘publication‘; Section 52(1)(h) was held to be distinct from the word ‘reproduction‘ in Section 52(1)(i) thereby allowing copying for limited use. In Para 80, Justice Endlaw wrote that copyright in literary works was not an inevitable, divine or natural right that confers on authors the absolute ownership of their creations. Aggrieved, the challenge was bought to the Division Bench comprising of Justices Pradeep Nandrajog and Yogesh Khanna. In Para 17 of the judgment authored by Justice Pradeep Nandrajog, the bench formulated a question that whether the right of reproduction of any work by a teacher or a pupil in the course of instruction is absolute and not hedged with the condition of it being a fair use. It further posed a sub question that what was the span of the phase “by a teacher or a pupil in the course of instruction” in Section 52(1)(i)(i) of the Copyright Act, 1957. The Division bench also dealt with the questions surrounding distinguishing 'reproduction' and 'publication'. In Para 33, the Division Bench held that in the context of teaching and use of copyrighted material, the fairness in the use can be determined on the touchstone of ‘extent justified by the purpose’. In other words, the utilization of the copyrighted work would be a fair use to the extent justified for purpose of education. It would have no concern with the extent of the material used, both qualitative or quantitative. The reason being, ‘to utilize‘ means to make or render useful. To put it differently, so much of the copyrighted work can be fairly used which is necessary to effectuate the purpose of the use i.e. make the learner understand what is intended to be understood. In Para 56, the bench declared that the law in India would not warrant an approach to answer the question by looking at whether the course pack has become a textbook, but by considering whether the inclusion of the copyrighted work in the course pack was justified by the purpose of the course pack i.e. for instructional use by the teacher to the class and this would warrant an analysis of the course pack with reference to the objective of the course, the course content and the list of suggested readings given by the teacher to the students which would require expert evidence. Further in Para 79 the bench held that apart from the triable issue on fact as indicated in Para 56, another issue of fact will be tried which emerged from the report submitted in the suit by a Local Commissioner. Local Commissioner who visited the premises had found apart from the offending course packs there were four back to back copies of one book, three photocopies of another book, two of the third and one each of the other five. The Court permitted the plaintiffs to amend the plaint and plead the said fact giving opportunity to the defendants to file written statement to the amended plaint. The benchfurther held that a subsequent issue which will then arise whether photocopying of entire books would be a permissible activity. In Para 80, it was held that the impugned judgment and decree were liable to be set aside as no triable issue on fact arose and the triable issues on fact would be as indicated in paragraph 56 and paragraph 79. The suit was restored for trial on the issues of fact and for which parties were permitted to lead expert witness testimony. The bench also held that the appellants were not inclined for an interim injunction to but directed respondent No.1 to maintain a record of course packs photocopied by it and supplied to the students and that every six months the statement of number of course packs photocopied and supplied shall be filed in the suit. In my view, the DB judgment please everybody and displeases none. The Single Judge bench had also held that there was no cause of action as there was no actionable infringement. While confirming the same, the bench opened the issue on 2 factual aspects and restored the trial saving the proceedings. On the other hand, it refused to grant any interim injunction but directed the respondents to maintain a record for ready perusal of the court. It is appreciable that both judges took a lot of pain and decided the issue in a record time, but the appeals ought to have been dismissed and the single judge bench judgment ought to have been upheld instead of being set aside. Nevertheless, the appeal now goes upward to the Supreme Court if any party feels aggrieved and the restoration takes them to a single judge again in the High Court. The lis therefore restarts again with a swinging proposition on law. Fingers crossed!